Do you know that from December 20-22, you could be one of several thousands that will be enjoying free BRT bus rides from Ikorodu, Ojota, Obalende, TBS, Berger and Mile 12? 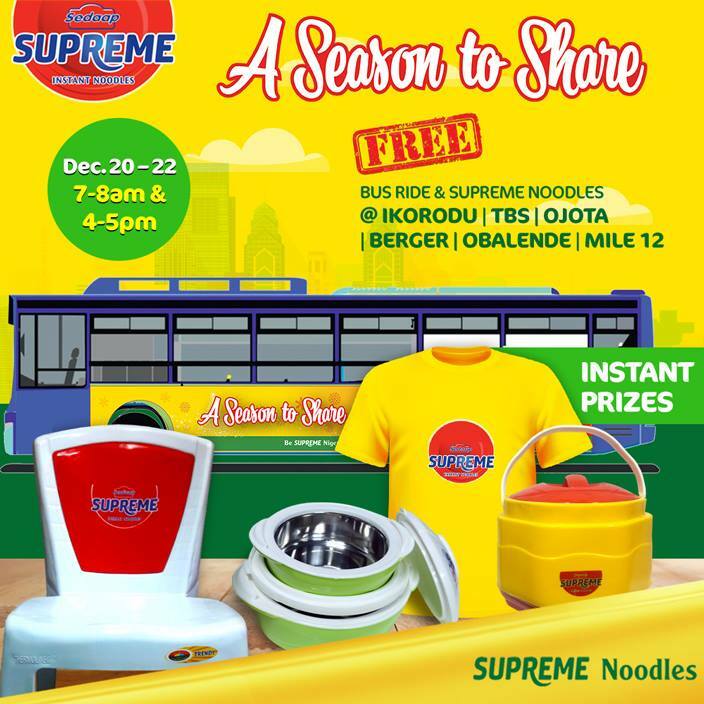 As you commute from December 20 - 22, look out for our Supreme Noodles reps at any of the BRT terminals from 7-8am and 4-5pm to enjoy these goodies! Giveaways End on 22nd December, 2017.